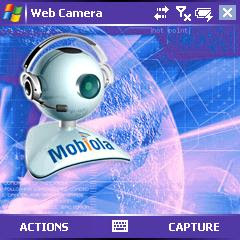 webcam PC driver compatible with any Windows application that can receive video feeds from a web camera including Skype, Yahoo, MSN, AOL IM, ICQ messangers, www.YouTube.com, www.MySpace.com and www.grouper.com. · Transforms your mobile phone into a high-quality PC webcam. · Connects mobile phone to PC using USB, WiFi (select models) and Bluetooth connectivity. · Screen Capture functionality, when device screen can be demonstrated on PC real-time. · NEW!!! Cool video effects. Have fun and impress your friends!